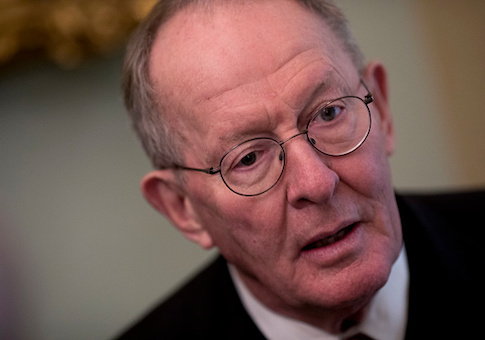 Sen. Lamar Alexander (R., Tenn.), chairman of the Senate Committee on Health, Education, Labor, & Pensions, along with party leaders in the House and Senate, sent a letter to the National Labor Relations Board asking it to restore joint employer standards that protect franchise businesses. The NLRB, the top federal labor arbiter overseeing workplace disputes and union elections, is considering a formal rule that would shield parent companies from being held liable for labor violations committed by franchisees or subcontractors. That standard stood for decades until the Obama NLRB's 2015 Browning Ferris Industries (BFI) ruling. "The Board's BFI joint employer standard is the biggest attack on opportunities for American small businessmen and women to make their way into the middle class that anyone has seen in a longtime," Alexander said in the letter to Trump NLRB Chairman John Ring. "The Board's proposed standard will preserve the American Dream and economic benefits for millions by providing clear rules of the road." "A joint employer must possess and actually exercise substantial direct and immediate control over the separate employees' essential employment terms and conditions in a manner that is not limited and routine," the Jan. 17 letter says. "The Board’s rulemaking will provide clarity and predictability needed by employers and unions alike." Industry groups have consistently opposed the Obama standard and welcomed the support of Senate Republicans. Matthew Haller, spokesman for the International Franchise Association, called Alexander "a long-standing champion" in the defense of the franchise model and a "commonsense joint employer standard." "Franchise owners everywhere are grateful for his and the other senators' leadership and look forward to an end to the uncertainty and litigation minefield caused by the Obama era standard that caused a 93 percent increase in costly and burdensome lawsuits and upwards of 376,000 lost jobs," Haller said. The agency will review the final proposal when the public comment period ends on Jan. 28.